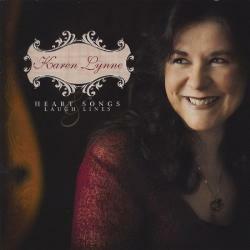 A stunning Australian “Bluegrass & Acoustic” album which will absolutely delight listeners and expand Karen’s fan base enormously. From the gentleness and acoustic sweetness of the opening ballad “We Should Only Have Time for Love”, to the power and strength of the opposing uptempo traditional bluegrass tracks such as “Jealous”, to the traditional acoustic and almost folky feel of Phil Ochs “Changes”, you know that this album is very different and there is something very special happening here. Produced jointly by Rod McCormack & Herm Kovac, it is a much more contemporary bluegrass album than her previous straight traditional bluegrass album “Blue Mountain Rain”. This project ventures much deeper into the realms of the sound we expect and love from the more contemporary bluegrass artists – such as Alison Krauss, who have constantly pushed the boundaries of traditional bluegrass in recent years. 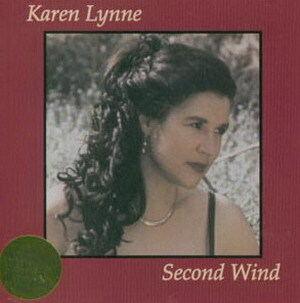 What a pearler of an album from Karen Lynne. 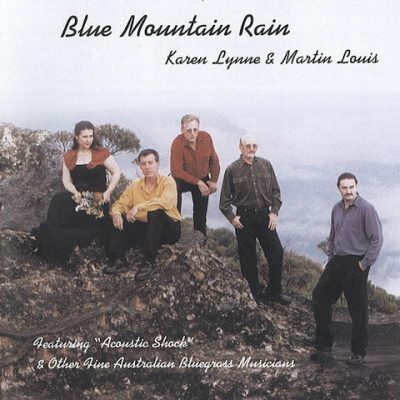 Amidst her excellent solo albums we have already caught her bluegrass influences with the ‘Blue Mountain Rain’ album from Karen and (Sydney band) ‘Acoustic Shock’, but this new release takes the talented Karen to a new dimension. Superbly produced by Rod Mc Cormack and Herm Kovac, this is a truly international album in the class of Alison Krauss and Rhonda Vincent. 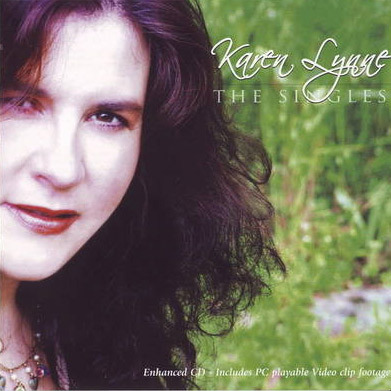 Crystalline vocals from Karen and a wonderful song selection ranging from traditional bluegrass offerrings like “Roses in the Snow” to more contemporary ballads like “The Healing Kind” create a blend that is beautifully balanced. The backing musicians are perfectly complementary to the music – Rod on guitar, Ian Simpson (banjo), James Gillard (Double Bass), Michel Rose (Dobro), Trev Warner (Mandolin) and Mick Albeck (fiddles), are as good as it gets, and Rod and James’ harmonies are seamless. On an album as complete as this, picking highlights is very difficult, but the first radio single ‘The Circle is Small” is special, as is “We should only have time for love”. If you buy only one album this year, put this on the short list. ‘CHANGES’¨ is an album rating high on my list. You would look far and wide to find any better. Vocals superb, Instrumentation first class, Quality of production and recording excellent. Key to this project ‘subtlety’. Classified under the country genre the general sound on this album is comparable to contemporary bluegrass coming out of the USA and is sure to be a hit with bluegrass and country fans alike. Karen Lynne’s lead vocal throughout the project is smooth without being muted, sharp without being shrill, in other words superb. The project features some of the countries top musicians: In the engine room the temperate hand of James Gillard provides timing on the big fiddle. James also adds backing vocal to the project. Acoustic guitar mastery is the domain of Rod McCormack. Rod also adds backing vocal and some mandolin to the project. Tasteful best describes the five string banjo picking of Ian Simpson on the project – that in itself is an art. Ian also adds guitar, teaming up with Rod on some tracks. One of the original Australian Bluegrassers and multi instrumentalist Trev Warner lends his expertise to the project as principal on mandolin. Cutting it to perfection on fiddle is Mick Albeck Michael Rose adds poignant dobro magic to five of the thirteen cuts on this project. Lyrics of love, loss and fond memory wrapped in cheerful tune from an up tempo ‘Blue Mountain Rain’ to the soothing ‘There is a reason’, the project is a credit to Karen and all involved. My recommendation – add ‘CHANGES’ to your music library, you won’t be disappointed. 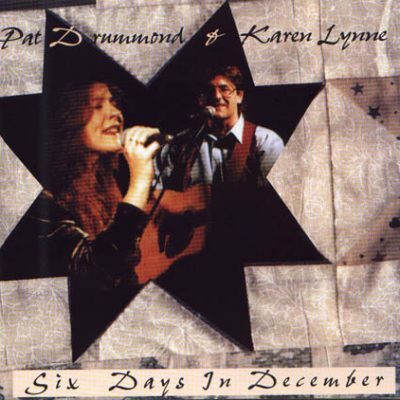 Something that has been missing in Australian Country Music is an authentic Blue Grass sound, but the appearance of Karen Lynne on the scene has gone a long way towards changing that. For quite a while now I have been hearing Karen on occasional radio promotion releases, and have been more than impressed with her style, and the arrival of her latest CD, “Changes” has further enhanced my opinion. The album features only a few tracks that can really wear the ‘Bluegrass’ mantle, but even the slow ballad tracks have a hint of it. On hearing the first track, I struggled to identify the slightly familiar sound, and it wasn’t until the fourth track that the pieces of the jigsaw fell into place…. ‘Roses In The Snow’ identified the ‘Emmy Lou Harris’ sound that I had been searching for. Not that Karen is trying in any way to imitate her American counterpart. This is Karen Lynne, just being Karen Lynne, and doing it so well.. Her great vocals are given greater impact by the efforts of backing band, and with names like Ian Simpson, Mick Albeck, Rod McCormack, James Gillard, and others, combining their talents, how can you go wrong? Fourteen top tracks here, and every time I play it I come up with another favourite song, but at time of writing, if pushed for a choice, it would be between, ‘Once More’, and, ‘The Circle Is Small’, (But tomorrow that may change). Watch out Emmy Lou – Here comes Karen! 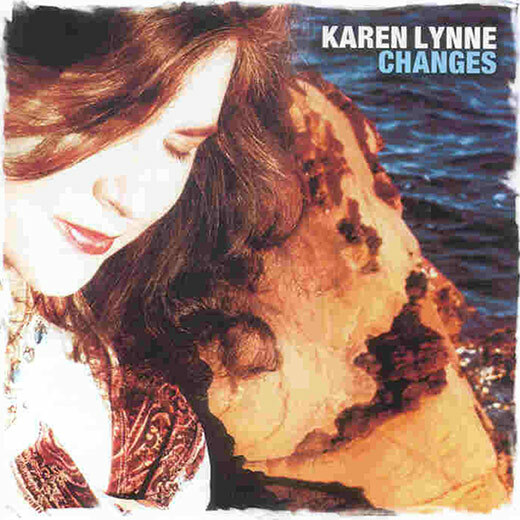 “In a word, Karen Lynne’s “Changes ”is simply lovely. Her voice is strong & clear. Harmonies are tight yet mellow (the final strains of “Once more” are exquisite). Instrumental arrangements caress the ballads and punch the quick tunes. Collectively, these components deliver 45 minutes of dreamy bluegrass, creating an album that celebrates love through it’s many phases. And did I mention that Karen Lynne is from Australia? Sometimes a step back from the source is a good thing, giving musicians a wider perspective, a fresh approach to old chestnuts, a chance to produce something that’s both new and familiar. So it is with “Changes”. Material comes from writers like Gordon Lightfoot, Ron Block, Phil Ochs, Paul Craft and Ronnie Bowman: a broken heart that won’t heal, the craziness of jealousy, old love that interferes with new, wanderlust, the futility of fighting, and the ever-popular cheating. It’s a buffet of love themes, and they’re delivered with emotional strength and integrity in these 14 tracks. Lyrics and vocals are only half the bluegrass equation, however. Instrumentally, these musicians (I’m assuming they’re all Australians) are as accomplished as any you’ll find in the USA. Michel Rose’s resonator guitar cries on the sad songs and dances on the fast ones. Mick Albeck’s fiddle sings with sweetness or crowd-pleasing panache, as required. Ian Simpson’s banjo is always bright and bouncy, while the guitar work of both Simpson & Rod McCormack is rich, warm, and sparkling. Trev Warner’s mandolin licks fall like crystal raindrops, while James Gillard’s double bass is a solid foundation for the band. If you like your bluegrass both sweet & spicy, with clear, expressive vocals and instrumental arrangements that deliver standout individual breaks as well as a cohesive whole, “Changes” could be just what you’re looking for”.. 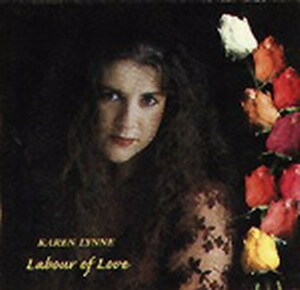 If there was any justice in the big wide world of music then Australia’s Karen Lynne would be an internationally-known performer signed to a major label with roomfuls of gold discs. But this unassuming lady of song is an indie artist who handles all facets of her career from her New South Wales home, balancing it all with being a new mother. With several UK and European tours to her credit she has begun building a following over here here and this, her fifth album, should delight her growing number of fans. Backed up by first-rate Australian musicians including Co-producer Rod McCormack (acoustic guitar), Michel Rose (Dobro), Mick Albeck (fiddle), James Gillard (Double Bass), Trev Warner (Mandolin), and Ian Simpson (banjo, acoustic guitar), Karen renders polished renditions of Gordon Lightfoot’s The Circle is Small, Paul Craft’s Jealous and Ronnie Bowman’s The Healing Kind. Sound quality exudes major label sound. I immediately thought Gary Paczsosa, not exactly an unknown. Throughout the musical arrangements are top notch with the solid country instrumentation of the highest order. Karen twines Appalachian and Aussie strains within a wistful folk-bluegrass framework in such self-penned songs as Loving Arms and Blue Mountain Rain. Ron Block’s spiritual There is a Reason and Wayland Patton’s We should only have time for Love are among the best on an album full of gems. It might seem like a long way from Nashville and the contemporary country of Music Row to the bluegrass sounds of Kentucky, and the rural outback of Australia but Karen Lynne shows the distance isn’t that hard to travel musically.